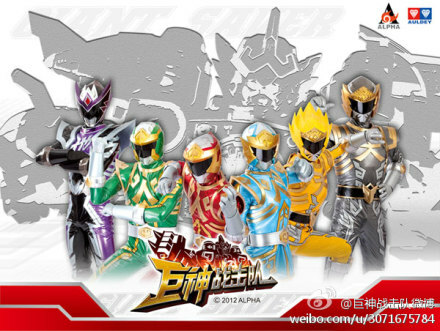 From the same country that brought us Armor Hero, China, seems to be starting their own Super Sentai series in the form of Jushen ZhanJiDui. Above is the figures of the team. The show is said to air later this year. 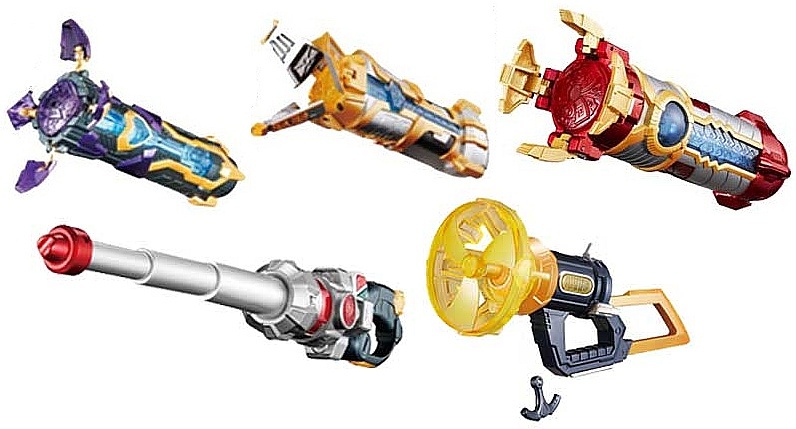 It won't be a "sentai" show without their mechas, or what others call Megazord, right? 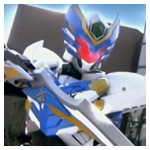 Below is their three team mecha — Giant God Team Robot, Giant Land Team Robot, and the Giant Sky Team Robot. 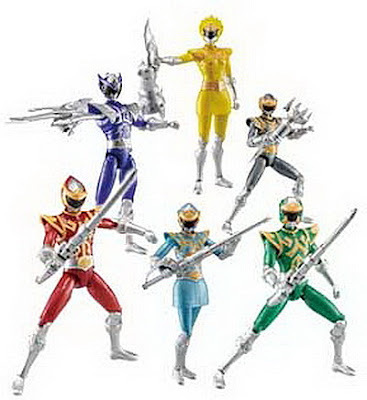 The Giant God Team Robot can be formed from 5 Holy Beasts, Giant Land Team Robot with 4, and Giant Sky Team Robot with 3. It is said that each one can combine with other teams forming a "mecha of 8", or the most, a "mecha of 12"! 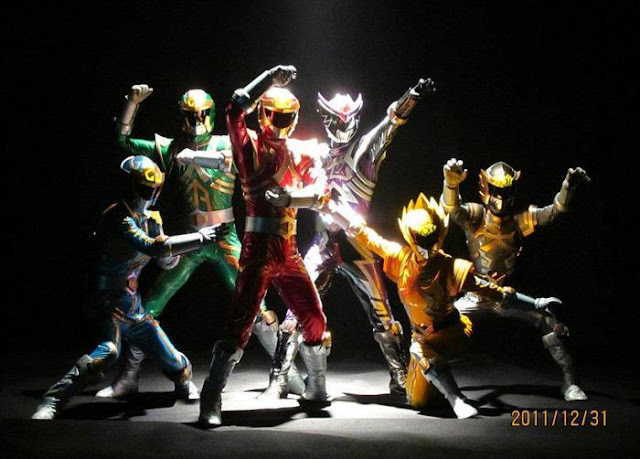 In 2010, China already ventured into doing a sentai-themed show in the form of the 2D animation Shénshòu jīngāng (神獸金剛). 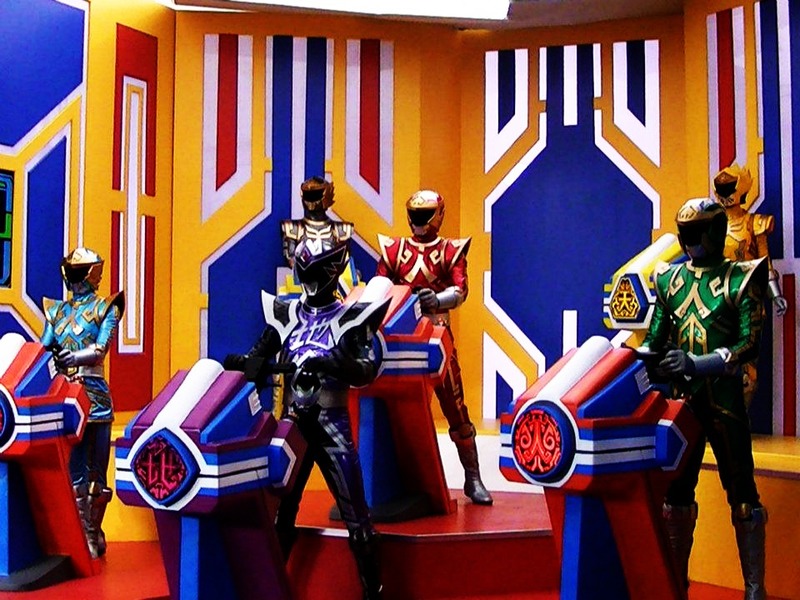 The series have 46 episodes, and many people believed that it had plagiarized Kyouryuu Sentai Zyuranger on its "God Beast" mecha. For Jushen ZhanJiDui, let's see how it goes. Hopefully, someone will upload some episodes or clips on streaming websites. We'll update you once we get new information. Eine interessante Wahl für die Verwandler, vorallem die unteren Beiden wirken doch recht Gewöhnungsbedürftig. Armor Hero gefiel mir schon derbe gut. Mal sehen wie sie es diesmal machen. Nur für Sammler wird es mal wieder ne Herausforderung. Wenn ich überlege wie hart es war an Armor Hero(XT) Sachen zu kommen. 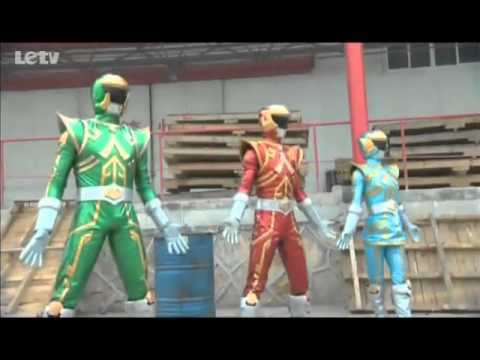 Remember the Chinese sentai-like series last month? Luckily, I managed to find some awesome looking promotional videos for Jushen ZhanJiDui (literally Titans Warstrike Team, 巨神戰擊隊), on YouTube. Check them out after the jump! 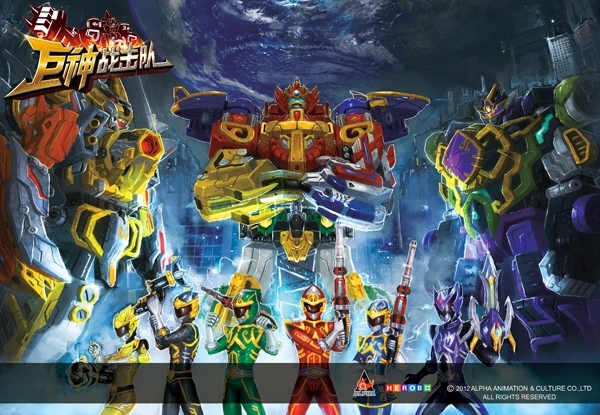 Apparently, production started since October of 2010, and Jushen ZhanJiDui is scheduled to air in China this November. 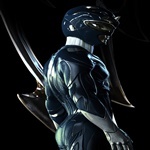 So far, I haven't seen an actual premier date, just November 2012. 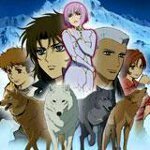 The show is scheduled for 52 episodes. Kann dir nur zustimmen, das ganze wirkt verdammt cool. All so ch freue mich schon auf die Serie. Gibts hier irgendwo subs davon? Besonders der Dunkel Blaue hat es mir hier angetan, der Suit/die Rüstung sieht genial aus ! Das würde mich auch interessieren ob da schon was gesubbtes existiert ? Das hat richtig Potential !